26 oz. capacity. 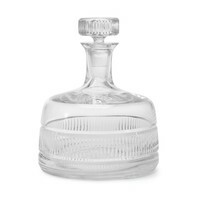 5" L x 2¾" W x 9½" H. Removable square crystal stopper. Hand wash. 24% lead crystal. Imported. 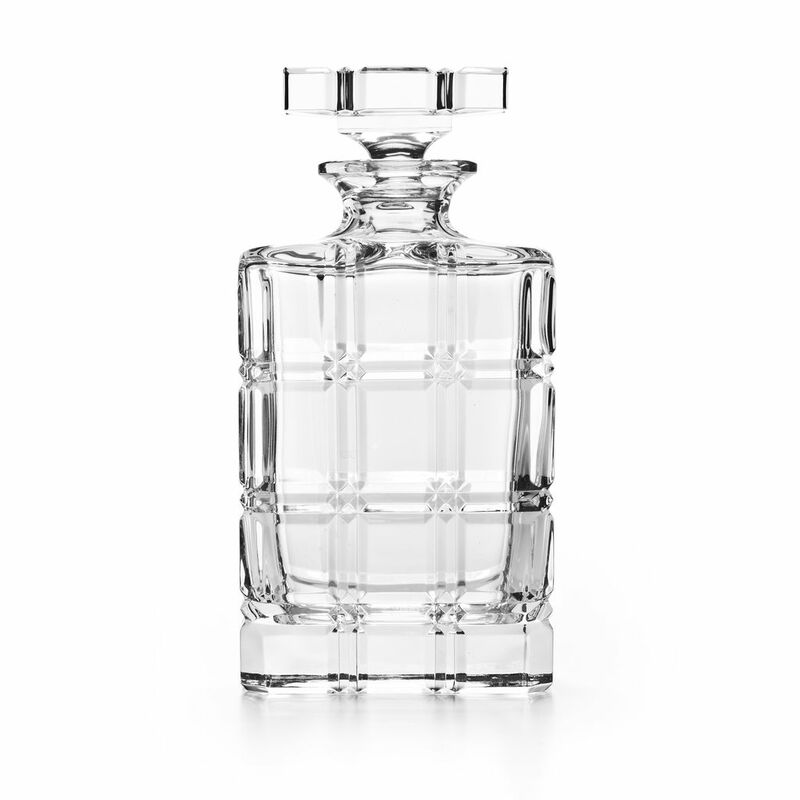 OVERVIEW This hand-blown lead crystal decanter features a subtle plaid motif. 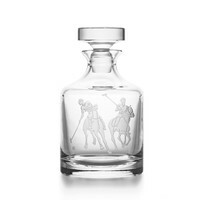 Pair it with our Greenwich highball glasses to add timeless refinement to your home bar.